While it may be tempting when you see ice on a pond to venture out onto it, that may not be the safest thing to do. 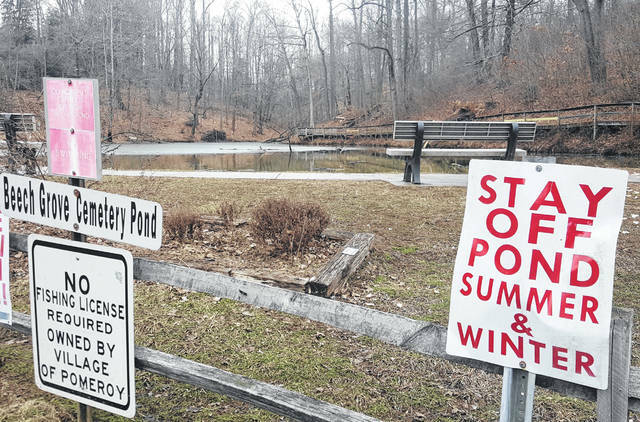 Pomeroy Police Chief Mark Proffitt issued a reminder this week that no one should be on the water or ice of the Mulbery Pond (also known as the Beech Grove Cemetery Pond) at any time. Youth have recently been seen attempting to skate on a thin layer of ice which is dangerous, noted Proffitt. A sign can be seen at the pond as a reminder to stay off the pond. No one should be on the pond any time, day or night, any time of the year.